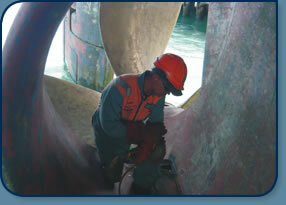 Stern bearing replacement and manufacture. Marine surveys and certified crack testing. Spreader repairs / load test. Engine liner landings / re –machined. Onsite certified 4711 / coded welders with mobile plant.